It’s National Volunteer Week, a perfect time to get out and volunteer, serve your community, and publicize AmeriCorps. This is already a great opportunity to get out and serve in your community but is also a chance to increase the face of AmeriCorps across the country. As an Alumn, wear you Ameri-gear when you volunteer. 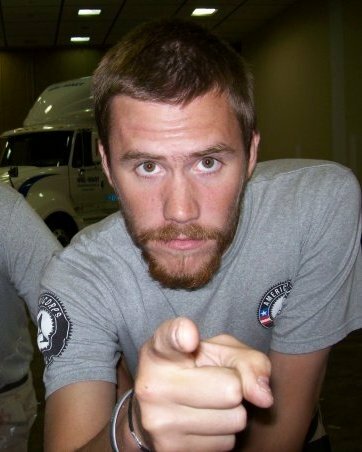 Talk to your friends and community on the sites about what AmeriCorps is, why you served, and what it’s meant to you. Who knows, you might be able to inspire some people in your city to sign up and serve as well! Unsure on what kind of opportunities are happening in your area? Here are some sites you can visit that will help you find some service events. Check these sights out and be sure to share any opportunities you know of here or on our Facebook page. Also a quick update on the status of CNCS and the Save Service campaign. As you know, an agreement was reached and the government did not shut down at the midnight deadline on Friday, April 8th. Congress has agreed to a resolution that will fund the budget for the rest of FY2011, which ends in September. This budget cuts $78.5 billion dollars from the original proposed budget. It’s not yet clear how these cuts will affect CNCS and AmeriCorps. A detailed budget will be made public tonight and we will update you on the status of CNCS as we find out so keep following us on Facebook and Twitter as well as here on our blog! Great post! Thank for all the resources Jeremy!